The front office staff were absolutely wonderful and helped us with everything we needed! Ac worked great, staff was nice, decent location. Very clean, and comfortable. 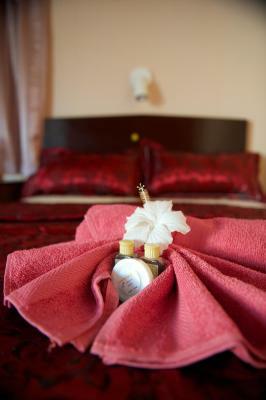 The bar staff was great and the concierge was very helpful and knowledgeable. The staff is the only thing this hotel has going for it. Location is at the end of the strip, about a 10 minute walk to the Split (bar where everyone hangs on the water). Restaurants line the street on the way there. Good location, private. Staff was very very nice. Use their star Tours service because it is cheap and has good service. Did a full day snorkel (6 sites) including lunch and a rum punch for $55 US. AC worked well. Fridge worked. I loved the location of the hotel, the fact that i can feel the ocean breeze all around me was wonderful. Being welcomed by hotel staff member HENRY was awesome, he was everything needed for everything his hospitality made me feel family. I will be staying here every time I visit. Friendly staff. Nice private area by the dock with picnic tables. The single best thing going for this hotel is its location. 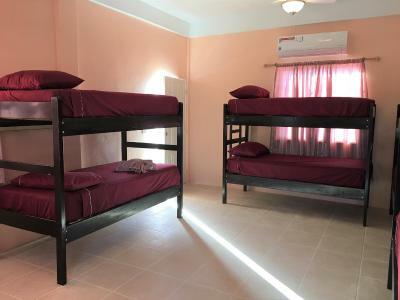 The hotel is right on the main street of Caye Caulker and is within walking distance to virtually everything on the island. 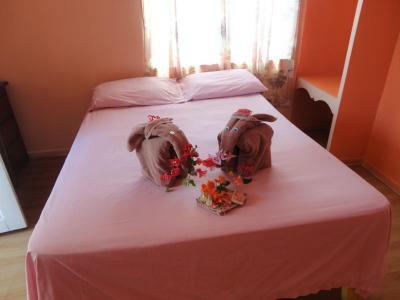 Out little bungalow was adequate and close to beach....Staff were very friendly and helpful! Good value for money! 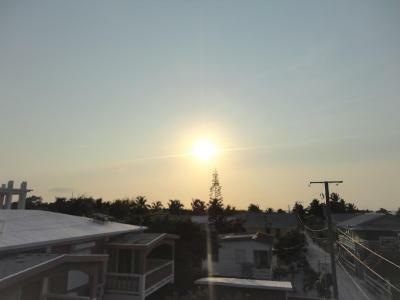 The property is right on the water and there is a dock where you sit and relax. It's also within easy walking distance of the main tourist area on Front Street. 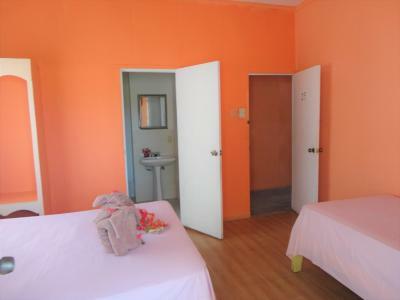 The rooms were not luxurious, but quite comfortable. The staff were very friendly and helpful. 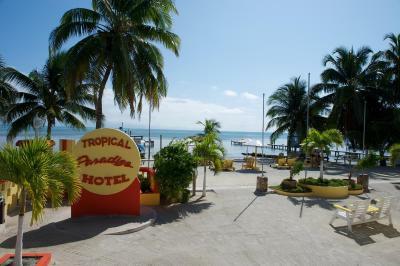 Located on the beachfront in Caye Caulker, Tropical Paradise offers a bar-restaurant, free Wi-Fi and air-conditioned rooms with sea views. The Water Taxi terminal is just a 2-minute walk away. 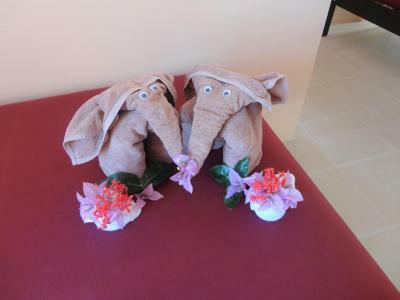 Rooms at Tropical Paradise are set in charming Caribbean-style decor. 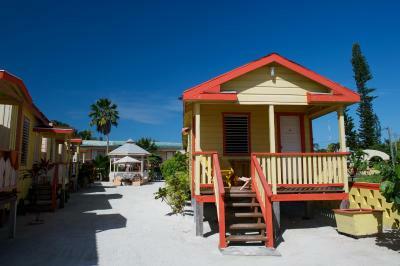 Each one has a terrace and a private bathroom with a shower. Tropical Paradise’s tour desk can provide information about activities around the island. 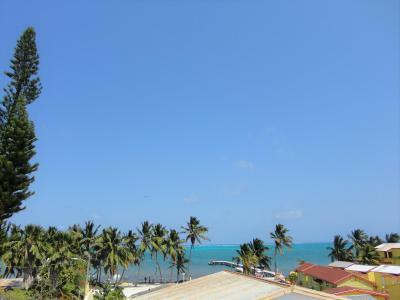 These include snorkeling or diving around the Belize Barrier Reef, located just 1.2 mi off shore. 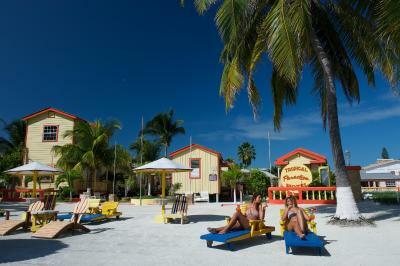 A wide range of bars and restaurants can be found within a 5-minute walk of Tropical Paradise. The famous Lazy Lizard bar and The Split swimming spot are a 15-minute stroll away. When would you like to stay at Tropical Paradise? 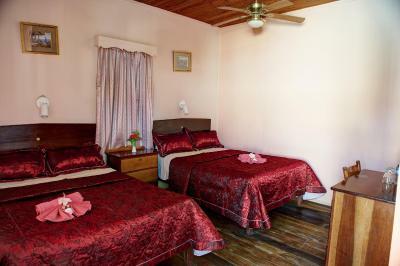 Set in a charming Caribbean-style building, this air-conditioned room offers a terrace with sea views. It features functional décor, free Wi-Fi and a private bathroom. Suites have air conditioning, a TV, fridge, coffee makers, and a private balcony. 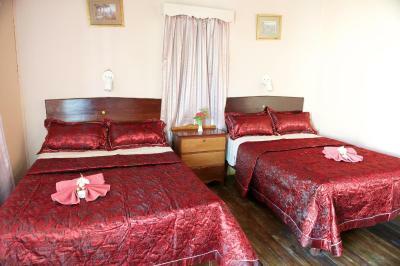 These rooms can be used as a Double Room for Couples as well. 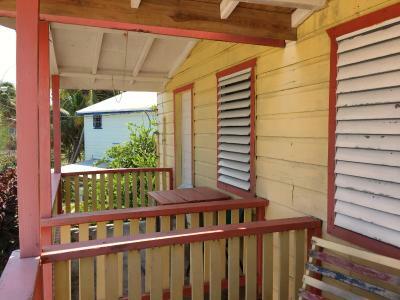 Rooms are located on the property, on the street side and have a 3rd floor balcony views. 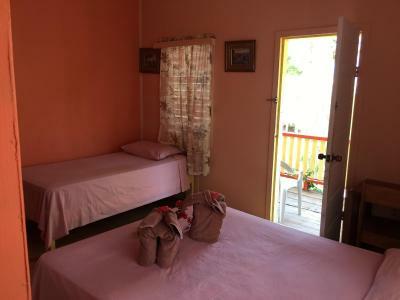 Rooms are located in a back building, they are smaller units. 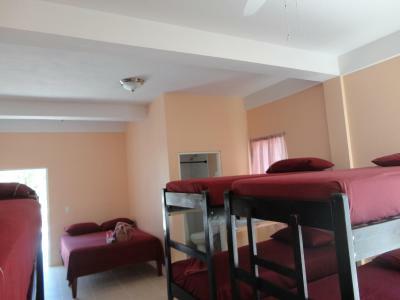 This dormitory room has a balcony, seating area and tile/marble floor. 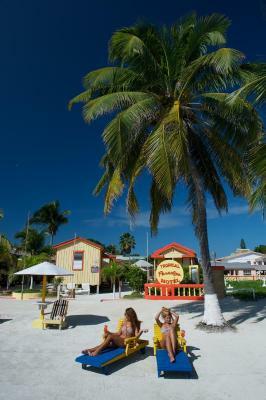 We are located on the Beach in Caye Caulker. 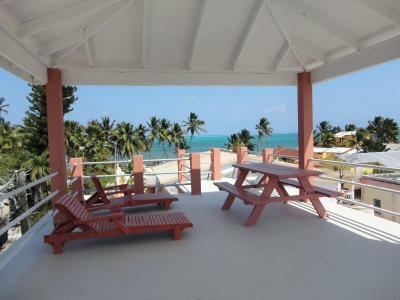 We have a large Beach area exclusively for Guests. Wifi is readily available and our Staff are always ready to assist with Snorkel Tours, which we offer daily, or any other information or assistance you may need. Come enjoy Caye Caulker and Belize with us. House Rules Tropical Paradise takes special requests – add in the next step! 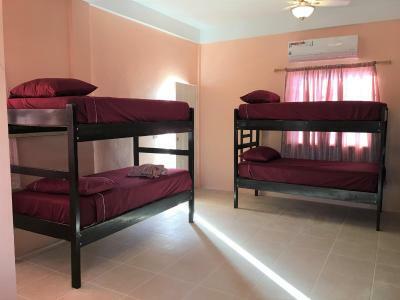 One additional older child or adult is charged USD 7.50 per person per night when using existing beds. Tropical Paradise accepts these cards and reserves the right to temporarily hold an amount prior to arrival. 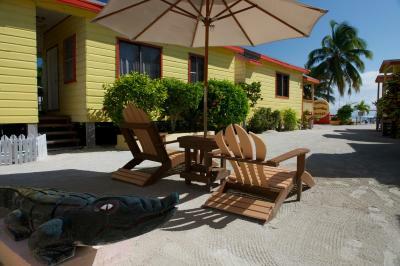 Transportation from Caye Caulker's Airport or Dock to property is available upon request for a fee. If interested please make sure to contact the property prior to arrival. Please inform Tropical Paradise of your expected arrival time in advance. You can use the Special Requests box when booking, or contact the property directly using the contact details in your confirmation. 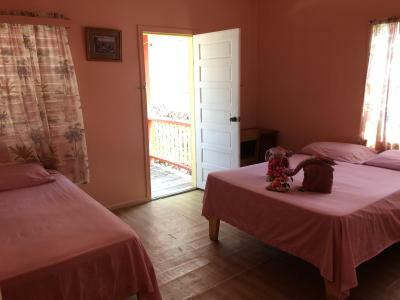 Our room was great but I will warn that it had some cosmetic issues (ex: gouge in the wall, door opened 1/4 of the way) so if you are a very particular individual (we are not) you should be aware that is something you will come across anywhere on the island! The building is dilapidated cracks in the tile and sheet rock most of the electric plugs were wore out. The beds had old 1970 blankets that were uncomfortable and the beds theirselves were hard. The pillows were a joke. The bad part is this place has potential but it appears who ever the owner is lacks the desire to keep it up. The restroom had molding pieces missing along with cracks in the wall. The TV was a complete joke it was about 14 inches and rather than being placed on a common wall for the double beds to view it was placed on the wall above one of the beds. All the buildings on the property need major repair. This place is a Tropical Disaster no pool or spa with Shanty Shacks. The pier was the only thing nice about the place. Room was not really cleaned each night. All the lighting in my room did not work. The economy room we initially booked was very disappointing. Shabby would be to kind to describe it. 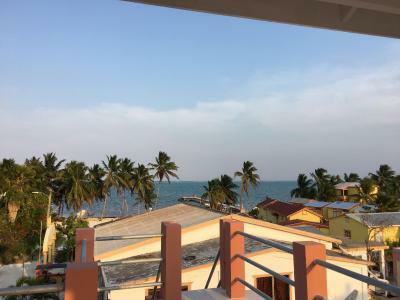 The consequent upgrade to a better room gave us a pleasant experience, albeit at an unexpected cost which, had we known earlier, would not have decided us to stay. The staff were professional, attentive and helpful. Nice people all round. look at the previous question. The staff was great ,helpful when asked.My only problem was I had a bottle of wine and there was not a Glass in the room I asked for one and wine glasses and ice was brought up right away. We enjoyed our time immensely. The setting was excellent and the staff were fantastic. I went out one night at about 8:00 looking for a cup of tea and couldn’t find one in town at that time so I stopped in at the tropical paradise bar on my way back and the bar tender found a couple of tea bags and boiled some water - very cheery and didn’t charge a dime. It made my night! 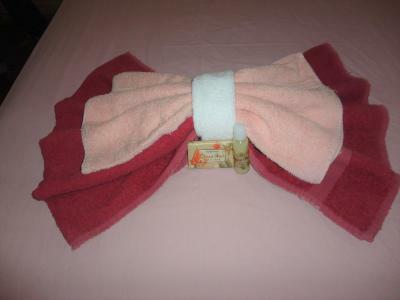 Towels weren’t ready until 4pm! The area of the hotel is rather smelly which seems to come from the sea. However we did not have this in our 2nd hotel up the front street. Some Things were broken in our room and apparently they charged our credit card without asking us first. Air conditioning fan didn't work. Locks on door didn't fit so had to only enter the back door. They couldn't find the right key. Only one power outlet in room, in the bathroom! Door only swung open 1/2 way. Floor to slanted. Hot water took a long time to come for a shower. Beds were rather hard for my personal liking. Loved the location. Staff were very friendly. 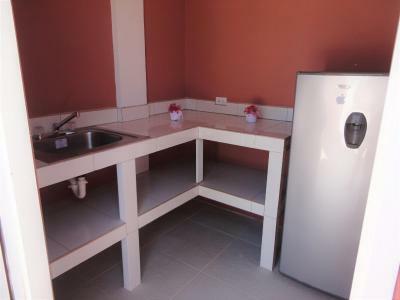 It was clean and tidy location.